The beer within the norms of the rules of the road, that's how it reads. At the bottom in very very small print it actually tells us that 2 of these beers at 2.5% alcohol each, renders you able to drive just under the legal limit. I found this billboard at a highway filling station in Naples. So, cheers everybody! 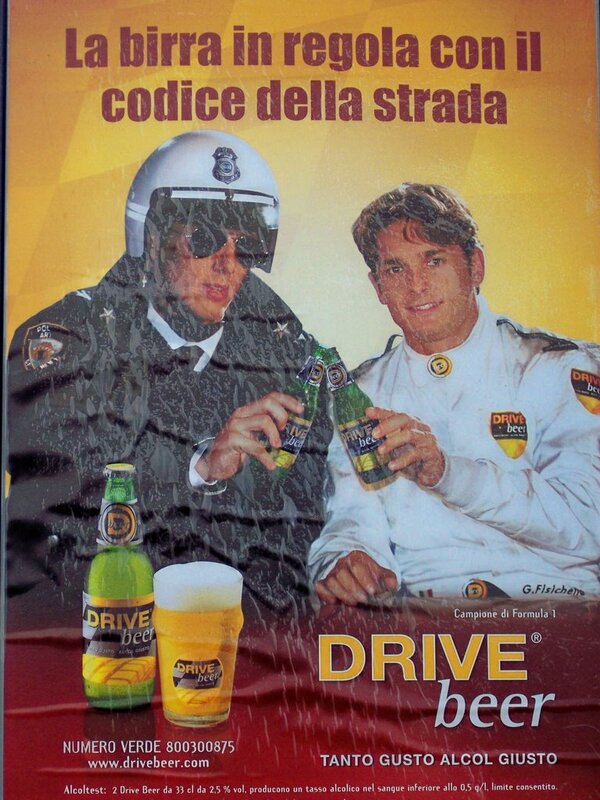 Have nice, cold beer with your local very friendly motorcycle cop and ever-so-slightly-buzzed race car driver. Just be sure give them a good, looooong headstart. I feel safer already, don't you? 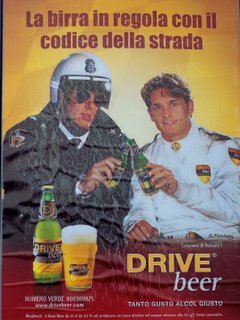 It is clearly meant to sell in the states with a name like "Drive Beer" Naples must just be a test market. I will keep my eyes out for it.